With over 50 years of combined experience, the experts at Luxury Bath of Raleigh have the industry expertise to create custom Raleigh bathroom remodeling solutions that are tailored to the needs and budget of your household. No matter if you're looking for a tub-to-shower conversion or a comprehensive bath remodel from top to bottom, you can depend on Luxury Bath to have the full services you require to complete your renovation. Your bathroom is as important of a room as any other in your home. 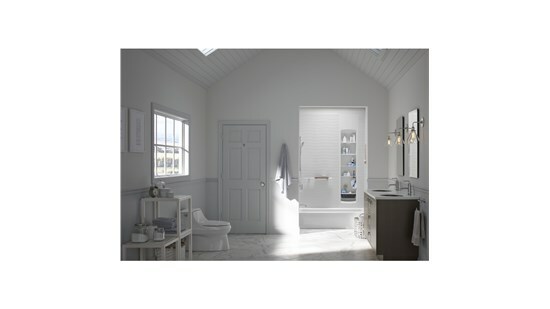 Increase its value and bring it into the modern era today with a Raleigh bathroom remodel! For your upcoming bathroom remodel in Raleigh, trust in the remodeling professionals that make your satisfaction a top priority. We are a member of the National Kitchen and Bath Association, which gives us access to the most important developments in the remodeling industry. This is how to keep ourselves up to date on the latest techniques and technologies to deliver you a top-quality Raleigh bathroom remodel. We use only the highest-quality materials to ensure your renovation lasts a lifetime. If you're ready to get started on your upcoming bathroom remodel, call Luxury Bath of Raleigh today. You can speak with one of our design consultants about your ideas or you can fill out our online form to schedule your free, in-home estimate today.